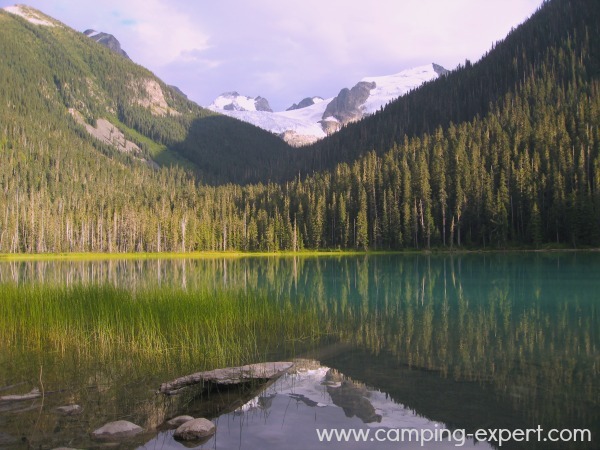 Joffre Lakes Provincial Park : Pictures of Beautiful Glaciers & views! Joffre Lakes Trail along the Duffey Lake road is absolutely beautiful. From the road, you can hike to three separate lakes, the first, Lower Lake, taking about 5-15 easy minutes (500m) to walk to the turquoise waters, but it is worth doing. To hike to the final lake, it is supposed to take 5-6 hours, but it takes you much closer to the glacier. The view at the first lake, takes you to a clear emerald green lake, surrounded by trees with a gorgeous glacier in the background. Breathtaking! I had never heard of this park before I visited it. But, the lady at one of the information booths told us, that if we had to catch any place near where she was located, then to go to go here. So, since locals know their own places best, we followed her advice. Joffre lakes provincial park exist on 1460 hectares on the frontier between the coastal mountains and the dry interior of British Columbia. This provincial park offers several things to keep you busy. 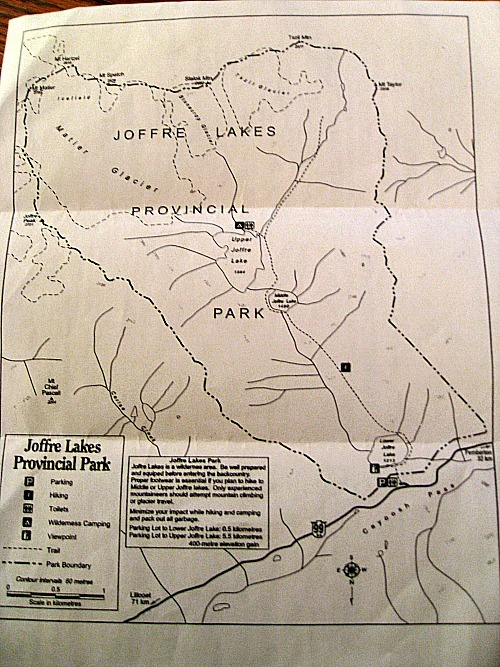 Hiking - there is a steep trail that traverses from Lower to Middle to Upper Joffre lake. The views from these places are spectacular, with mountains and glaciers to see. Backpacking camping -you can hike up to the upper lake and camp there. The distance is 5.5 km from the parking lot. Spectacular views - the views of mountains, ice falls of Matier Glacier, are beautiful. Photography - take pictures of wildlife, vistas, or wildflowers when they are in bloom can reward you with amazing shots! Be careful. Since you are hiking in mountainous areas, where weather can change quickly, make sure you are prepared with enough food, water, and be prepared for emergencies. Also, check before-hand what the expected weather will be like, and always tell someone where you are going and plan to return. A pay phone is located at Mount Currie (22kms west on Duffey Lake road), and cell phone reception starts at Lillooet Lake. Check out other great places to go camping, backpacking and hiking! Found out what gear I recommend, leave your own reviews about he gear you use.